No matter how well we take care of our horses, we can’t protect them from all of the diseases that typically affect our equine friends. 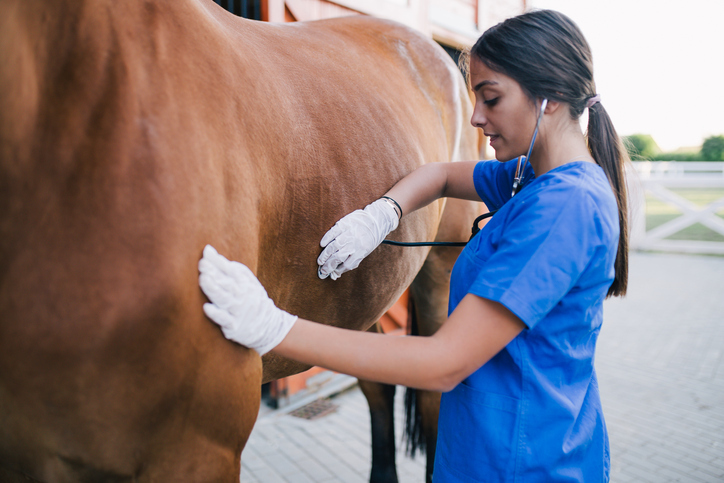 While the most prudent action is to contact a veterinarian when you suspect that all is not well, it is also important to be aware of what the most common diseases are so you’ll know what you can do for your horse. A study by the USDA Animal and Plant Health Inspection Service (APHIS) shows that a whopping 31.2% of horse deaths is caused by colic, making it the leading cause of deaths in adult horses. Colic is more of a symptom than an actual disease. It refers to abdominal pain that manifests as the horse rolling on the ground, losing their appetite, looking at their flank, restlessness, increased heartrate and temperature, anxiety, frequent attempts to urinate, and possibly even being unable to defecate. Call a veterinarian immediately – the sooner you recognize the symptoms of colic, the better the chances of saving your horse are. Keep your horse comfortable until the veterinarian arrives. The hair in the affected area should be cut so that the hair does not mat from the pus or block air circulation to the wound. Wash the wounded area with an antibacterial soap then make sure to dry it. Consult a veterinarian as you may need to administer antibiotics if the situation is severe enough. Laminitis is the inflammation of the laminae when these tissues weaken and tear. Laminae are the support structure that bonds the hoof wall to the coffin bone and laminitis causes intense pain and possibly even lameness. The excessive ingestion of fructan-high green grass and grains can induce laminitis in horses; therefore, monitoring the diet of your horses is important. Horses suffering from obesity, Cushing’s disease (or pituitary pars intermedia dysfunction), and equine metabolic syndrome (EMS) are also more susceptible. Immediate treatment is important so call a veterinarian. Only the progression of the disease can be dealt with, so proper prevention is important. Feed your horses a forage-based diet of mature grasses or hay and alfalfa and ensure that they drink enough water to avoid this disease. Horses are very sensitive to poor air quality and the USDA APHIS says it is one of the most common causes of death in foals below a year old. Make sure that your stables are well-ventilated – proper ventilation helps prevent diseases like bronchitis, equine influenza, and heaves or equine asthma in younger horses. Do not store bales of hay in the stable to avoid dust from accumulating and clean out the beddings regularly as urine-soaked beddings leave ammonia lingering in the air. There are vaccines available for equine influenza, so make sure your horses have the latest vaccinations as the flu virus develops new strains over time. Contact a veterinarian immediately if you hear your horse coughing. Untreated bronchitis may become chronic. Looking for horse properties for sale in Larimer County? 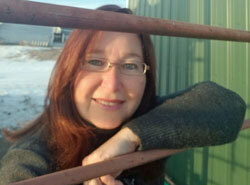 I can show you horse properties and farm land for sale in Northern Colorado. Call Claudia Hewell today at 970-672-6976 or email me at Claudia(at)HorsePropertyDeals(dotted)com to learn more about proper horse care and the best places to raise healthy horses in Northern Colorado.